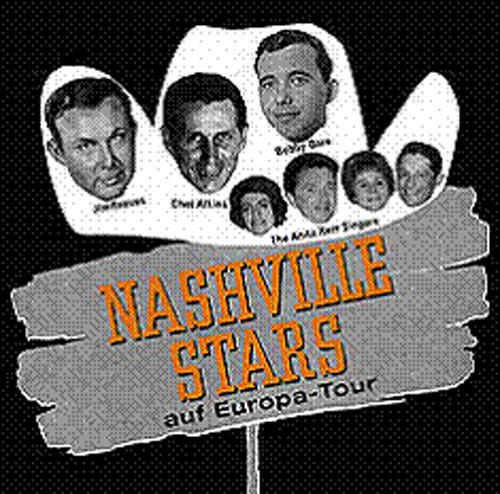 (4-CD Box Set with DVD) An incredible document of a ground-breaking tour, undiscovered for more than 40 years, this is an audio and video of RCA Nashville’s bold attempt to introduce country music to Europe. In April 1964, at the beginning of Beatlemania, RCA Nashville took the bold step of sending its biggest stars to Europe. Those making the trip were Jim Reeves, Bobby Bare, The Anita Kerr Singers and Chet Atkins. Fortunately, several of the concerts were recorded and even filmed. After the tour, RCA in Nashville encouraged all of its major stars, including Jim Ed Brown, Willie Nelson, Skeeter Davis, and Stu Phillips, to record in German, and those German-language recordings are included complete for the first time.